If you include the caretakers, we’ve had ten managers since the Dons moved to Milton Keynes in 2003. With the possible exception of Winkie’s fashion sense, there has been just one consistent feature throughout all of those managers tenure, and that is Dean Lewington. In an age where the idea of a one-club player is pretty much unheard of, Lewie has bucked the trend and shown a level of loyalty that we’ll probably never see again. Now I understand that the manager has to be in charge of the team. If he thinks that Lewie isn’t good enough to play in his team, then he has to be able to make that call and he deserves to be supported by staff and fans alike. Whether that’s the right decision from a footballing perspective remains to be seen, and it’s for Winkie to decide whether the less than solid defensive performances that are being delivered are acceptable or not. What’s come to light in recent days though is something different. It’s bigger than the team and bigger than any single manager – it’s about the club itself and the lack of awareness of that from Neilson and the wider club at the moment is showing naivety in the extreme. When Neilson has moved onwards and upwards/downwards, this club and its supporters will still be here, and how we as a club treat those who’ve given such service will live on and will define what we stand for as we move forwards. To have ended up with our longest serving player, our club captain, and to be brutally honest, the man who embodies this club more than perhaps any other person, for Lewie to have ended up having to train with another club, without any form of explanation to the fanbase, is simply not acceptable. No ifs or buts. It’s not acceptable and it’s not how we do things here, or at least it hasn’t been up to now. The silence in the face of such a significant relationship breakdown does not reflect well on the Manager, and the lack of explanation from the board looks very poor on them too. This is not going to just go away – the vacuum is being filled with rumours and speculation, it’s dividing the support and increasing pressure on the players and manager at a time when they could really do with everyone’s full support. Most of all though, this is just not an appropriate way to deal with someone who’s given so much to this club. To have described the situation in the casual manner that Neilson did on 3CR on Saturday and to not have mentioned that Lewie wasn’t even able to train with us is frankly appalling, and has lost him the support of many who understand what Lewie means to this club. If Neilson isn’t prepared to let the fans know what’s happening, (and he had his chance on Saturday), then Winkie is going to have to step up and do so – so Winkie – please either explain what’s happened with Lewie, with Mike Dove and anything else that’s going on behind the scenes, and look to undo some of the damage that’s been caused, or hold your manager to account. The MooCamp Radio Show will be broadcasting live on www.secklowsounds.org at 9pm UK time this very evening. If you’re even tempted to watch New Tricks instead, then we’ll know and we’ll tell on you. Tonight we’ve got a whole load of the usual rubbish, plus some new rubbish! Seriously! We might end up talking about last night as well, which could be interesting. As usual, we want your input, so have a guess at the roundabout of the week, have your say in who’s more ginger than Lewie, play RobboBingo with us, or just tell us to shut up. You can contact the show by semaphore, EsP or smoke signals if the wind’s in the right direction,or, alternatively, you can use rather more conventional methods. 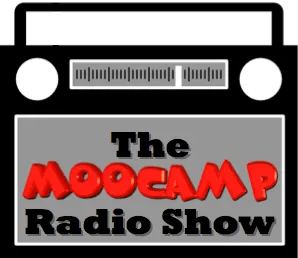 You can contact us on Facebook.com/theMoocamp, tweet us on Twitter #TheMoocamp to interact with us, email us- radio@moocamp.com, or you can text direct to the studio on 07848 93 03 96.